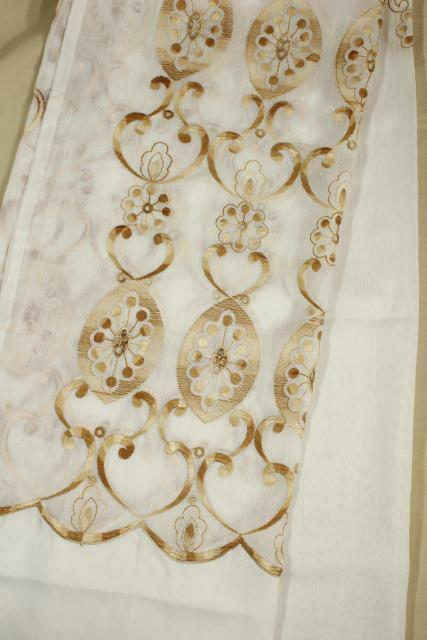 Pair of unused vintage drapery panels (one still in the original plastic package. 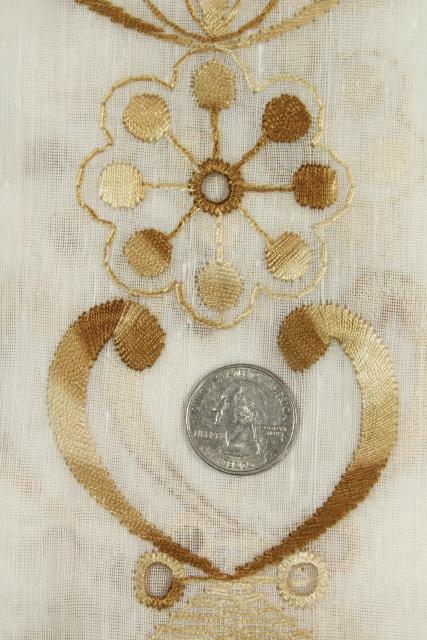 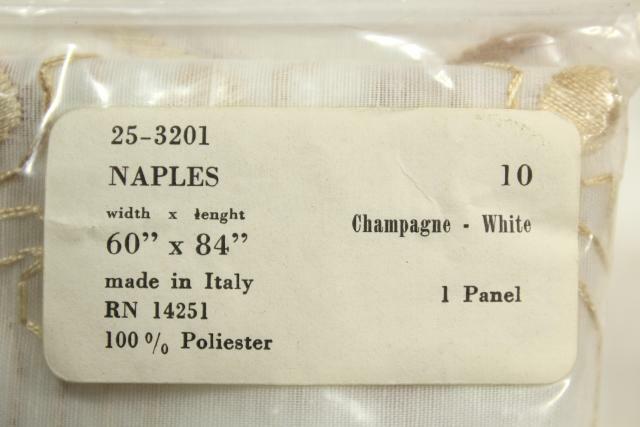 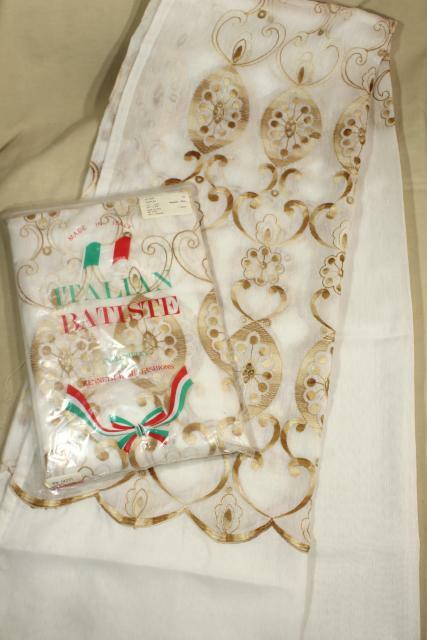 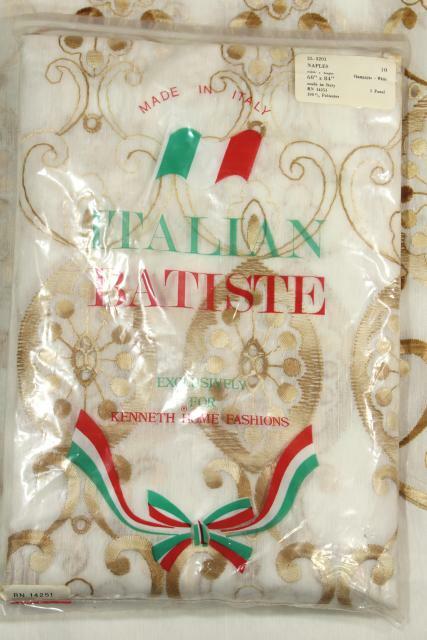 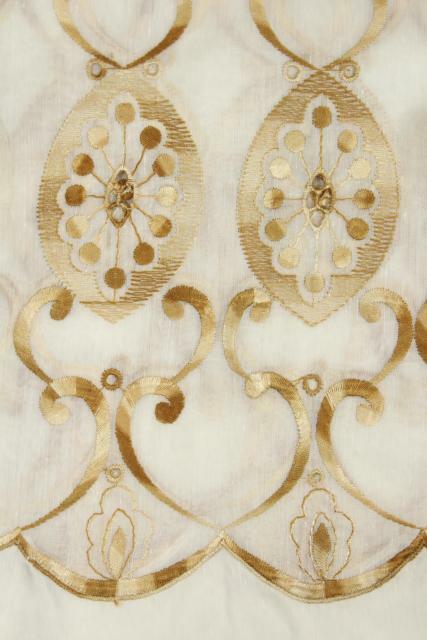 These are 1980s, Italian batiste, poly sheers with embroidery in shades of brown. 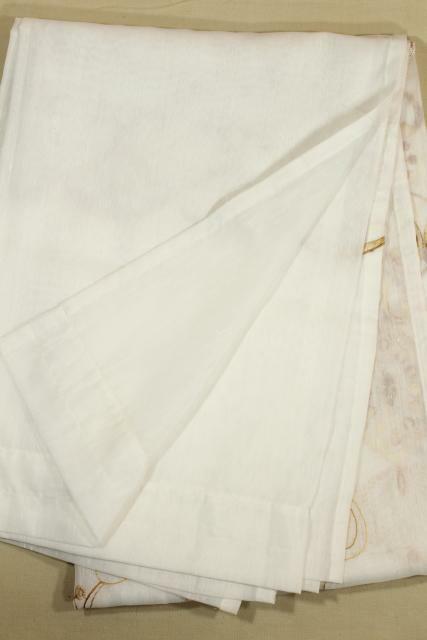 Each flat rod pocket panel measures 84" long x 60" wide. 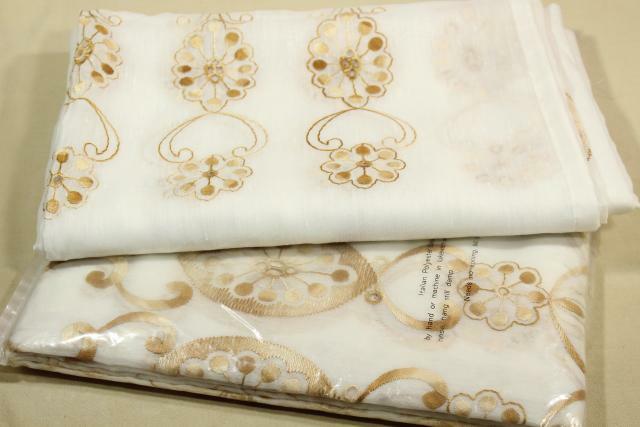 Both are in very nice condition, without damage or signs of use.